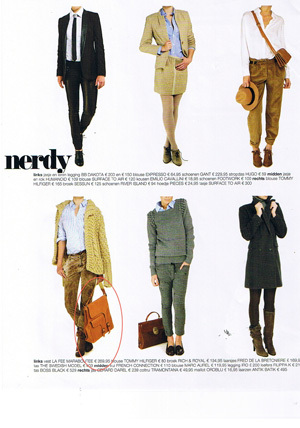 Interview with Carl Hederoth in Pulp magazine, Belgium 2010. 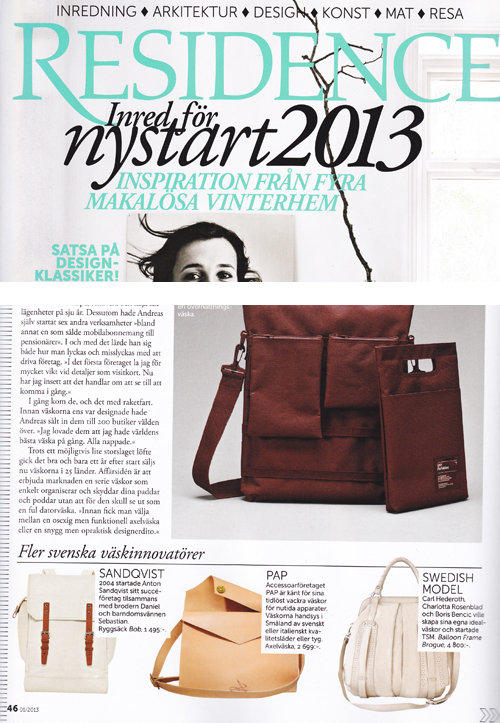 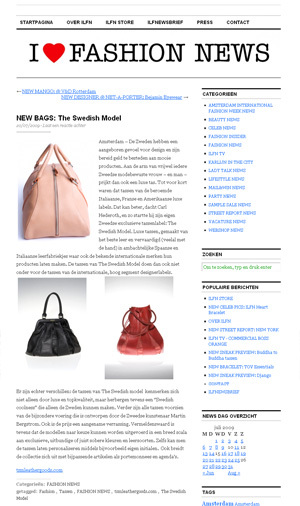 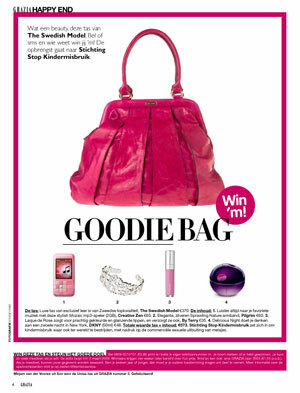 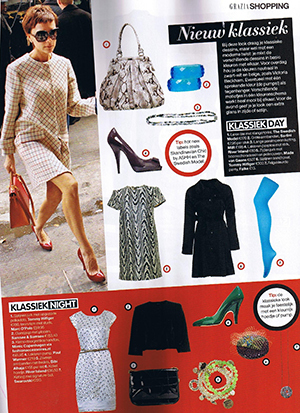 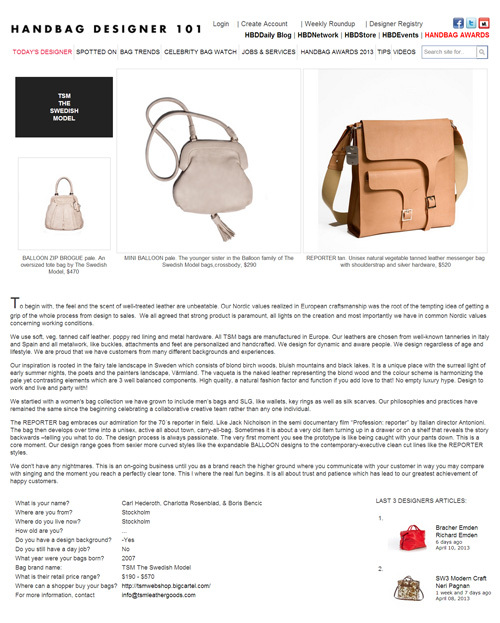 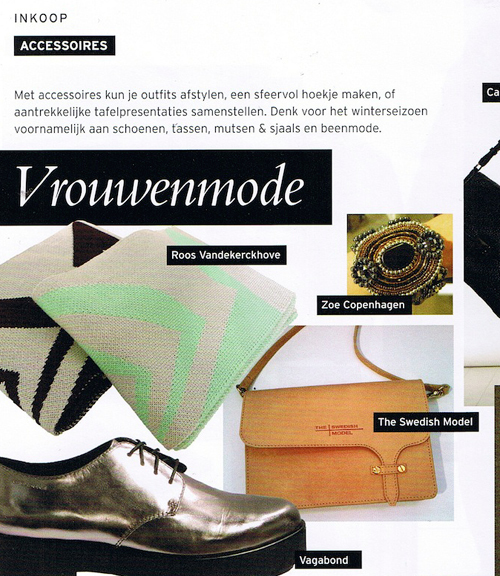 Article in the Dutch fashion blog "I LOVE FASHION NEWS"
The Missy Balloon featured in Damernas Värld fashion special. 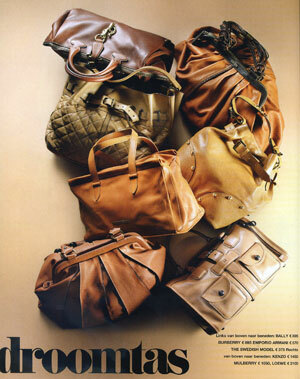 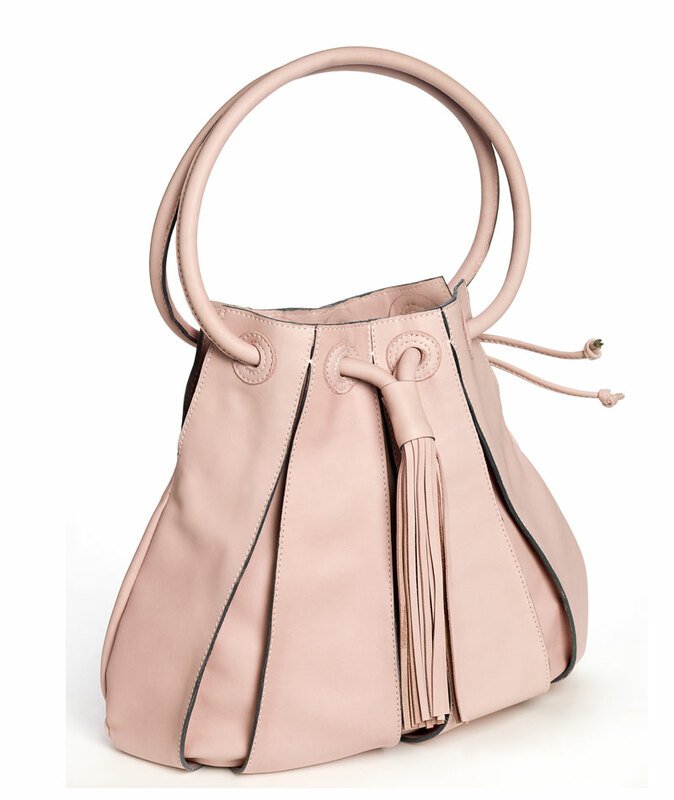 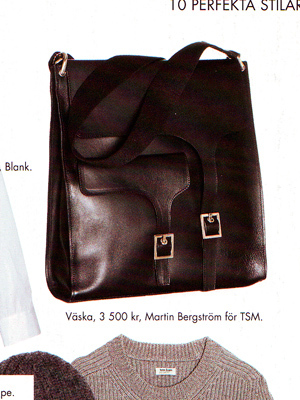 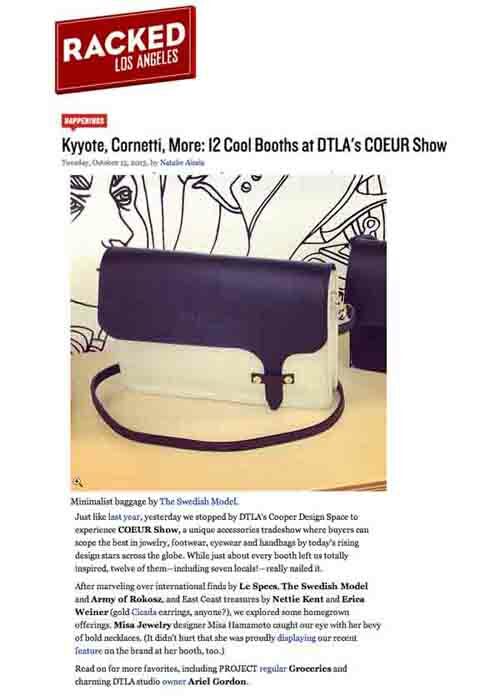 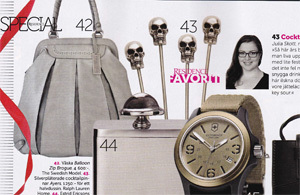 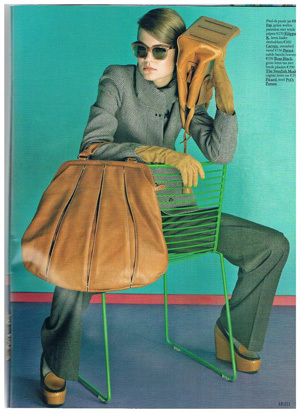 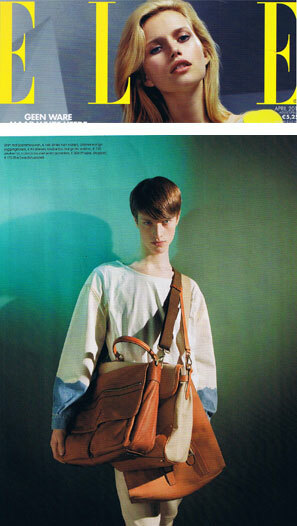 TSM's Reporter Bag was featured in Café magazine. 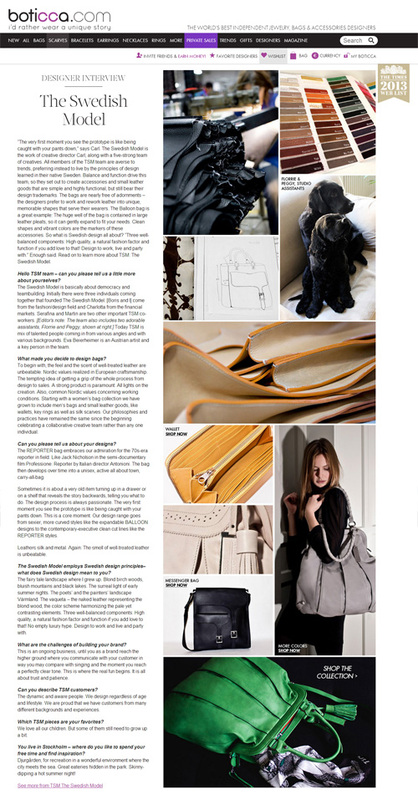 Interview with Carl Hederoth in Elle magazine. 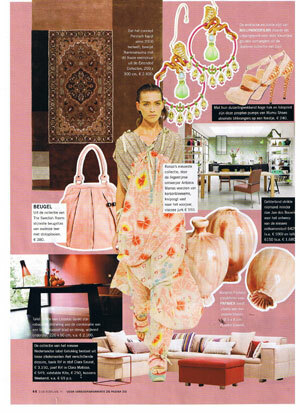 Cosmopolitan featured TSM's exclusive silk scarf. 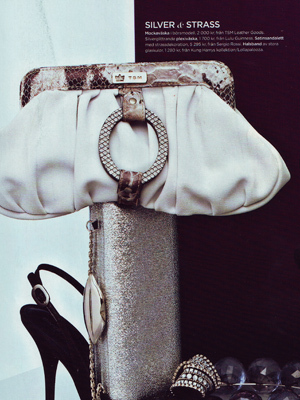 T S M's Balloon Zip Python Bag was recently featured in Elle magazine Photographer Jimmy Backius and stylist Karin Smeds created a series of stunning photographs with the theme "Sahara Hot Nights". 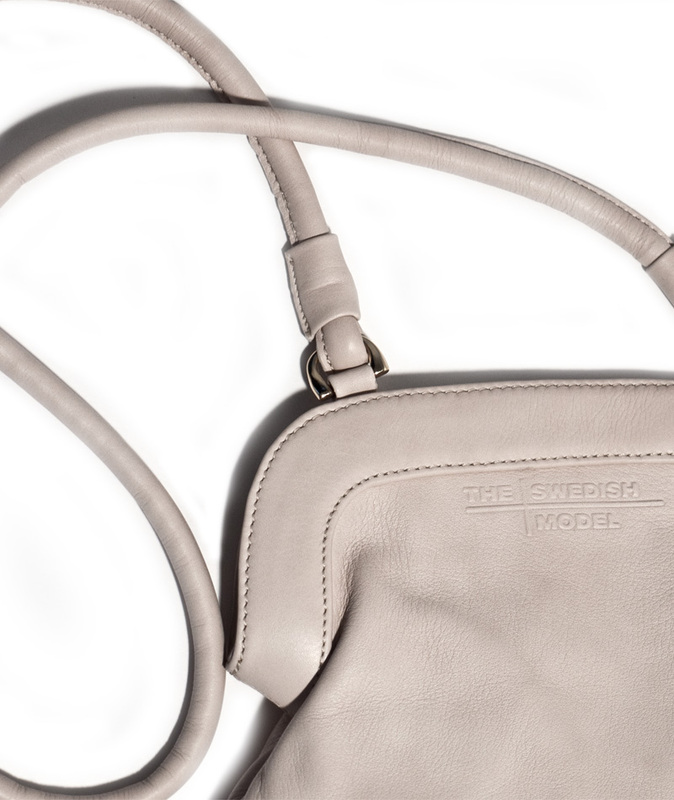 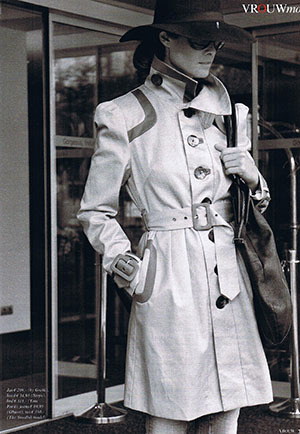 "For T S M function is paramount as is understated sophistication."